UNESCO stands for the United Nations Educational, Scientific, and Cultural Organization. The purpose of UNESCO is to promote universal collaboration through science, culture, and education to advance respect for the law, human rights, and freedoms defined by the UN. Over the past 50 years, UNESCO has listed almost 1,000 locations around the world as “World Heritage Sites”. These sites include cultural, natural, and mixed properties, such as forests, lakes, deserts, monuments, buildings, or even entire cities. Based on their significance and the amount of visitors they’ve attracted, below we’ve listed nine of the top UNESCO sites in Europe. Multiple theories remain as to how 40,000 basalt columns formed to rise out of the sea on the Antrim coast off of Northern Ireland. According to science, volcanic activity is at fault… but according to legend? It is said that Irish warrior Finn McCool formed a bridge across the sea to confront his Scottish rival, Berdonner. However, McCool dressed up as a child to trick Berdonner into thinking he was nowhere to be found. In a fit of anger, Berdonner destroyed the bridge, leaving but the supporting columns that are now left to be viewed. Whether you believe in fact or fiction, this is an amazing and beautiful world heritage site. Gateway to the capital, protector, and controller of the city of London, the Tower of London is considered one of the most interesting landmarks in European history. The Tower is located at a bend in the River Thames, and was a “crucial demarcation point between the power of the developing city of London, and the power of the monarchy”. Originally built to demonstrate the Norman power after the Norman conquest of England in the 11th century, this tower became much more; a symbol of English culture, an icon of military power, and a model of exemplary architecture. This site is the most complete of any structure built in the 11th century, though it has been restored to maintain its functionality and to feature numerous displays and exhibitions for guests. Built at the end of the 16th and beginning of the 17th centuries, the Canal District of Amsterdam was created to become a new “port city”. The series of canals were excavated through rigorous projects such as draining swampland, and filling in intermediate spaces as a base for architectural projects. This massive city development and extension was the first of its kind and acted as a model of large-scale city planning until the 19th century. The Stelling van Amsterdam, or the “Defence Line of Amsterdam“, is the prime example of famous Dutch hydraulic engineering. Built between 1883 and 1920, this brilliant and intricate system is the only example of protection based on the concept of water control. Prior to its creation, a series of fortified towns, including forts, were the basis for the defense system. After numerous adjustments and additional forts built closer to the system, the Defence Line lies on a radius about 15 kilometers from the city center, is about 135 kilometers long, and includes 45 forts. Follow the Banks of the Seine to find an extensive number of Parisian landmarks such as the Eiffel Tower, Notre Dame, Sainte Chapelle, Louvre, and Grand Palais des Champs Elysees. Traveling down the Seine allows visitors the chance to view the evolution of Paris and its history. Berlin’s fantastic “Museumsinsel” is comprised of five museums on the Museum Island. These museums were each built with varied architecture to pertain to the unique collections of artwork housed inside. Most of these collections focus on the development of civilizations throughout the ages. The museum structure itself is considered a “visionary project” that shows the “evolution of approaches to museum design” through the 20th century, though original and much less developed plans were first drawn up in the early 1800’s. Along with Museumsinsel, the Modernism Housing Estates are another testament to innovative and magnificent architectural pursuits. The estates consist of six subsidized housing areas that embraced the building reform movement that aimed to aid low-income families with improved living conditions. Prague is known as one of Europe’s most beautiful cities, given that it is surrounded by the Vitava River and includes magnificent palaces and towers. 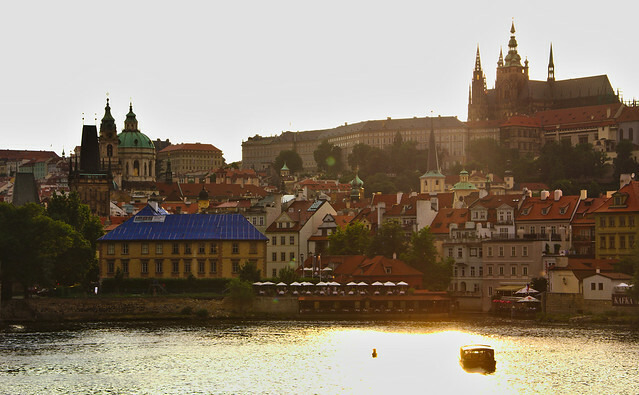 Since the Middle Ages, Prague has been home to vast cultural influences and because of this has seen many great architectural developments in its Old Town, Lesser Town, and New Town regions. The Historic Centre boasts architectural masterpieces relevant to medieval urbanism, the gothic period, the high baroque period, and modernism of the 20th century. According to UNESCO, “Prague represents one of the most prominent world centres of creative life in the field of urbanism and architecture across generations, human mentality, and beliefs”. Comprised of seven properties, Antoni Gaudí’s work is exceptionally unique to his city of Barcelona. His properties consist of Casa Vicens, Crypt of La Sagrada Familia, the Nativity façade of La Sagrada Familia, Casa Batllo, and the Crypt in Colonia Guell. Gaudi’s works are considered some of the greatest examples of the urbanist garden cities dreamt up in the late 19th century.